This document describes how to install an openPLM server using the 2.0 version tarball. All files used for a new django site will be stored in this directory. 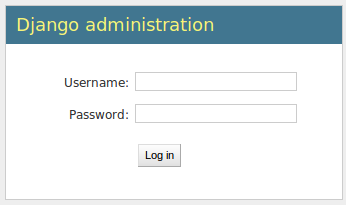 Edit the file /var/django/openPLM/settings.py and set the database password (‘MyPassword’) It must be the one set with the command create role django with password 'MyPassword' login; Here the DATABASE_USER is django, not the Django admin created by ./manage.py syncdb --all. 'ENGINE': 'django.db.backends.postgresql_psycopg2', # or 'postgresql', 'mysql', 'sqlite3', 'oracle'. 'NAME': 'openplm',               # Or path to database file if using sqlite3. 'USER': 'django',                # Not used with sqlite3. 'PASSWORD': 'MyPassword',        # Not used with sqlite3. 'HOST': 'localhost',             # Set to empty string for localhost. Not used with sqlite3. You have to create the superadmin user for Django and a special user named ‘company’. The company can access all contents from openPLM and should sponsor other users. The admin is here to administrate openPLM via its admin interface. Although haystack supports several search engines, openPLM needs xapian. You may change the setting HAYSTACK_XAPIAN_PATH if you want to put the indexes in another directory. openPLM uses Celery to manage asynchronous tasks. Celery needs a broker, you can choose any broker supported by celery but rabbitmq is recommanded. rabbitmqctl set_permissions -p openplm openplm ". *" ". *" ". *"
Then you must modify the BROKER_* settings in the settings.py, if you follow this tutorial, you only have to change BROKER_PASSWORD . To launch celeryd, run /etc/init.d/celeryd start. Django 1.5 checks the host before serving a request. You must edit the ALLOWED_HOSTS setting so that django accepts to serve your requests. Edit the default Site (http://server/admin/sites/site/1/) and set the domain name. This should be the same domain set in the apache file and in the ALLOWED_HOST setting. You must login with the admin account. You can use localhost on a local installation. To add users in OpenPLM, you have two methods. The first one uses the delegation tab directly in OpenPLM and the second one uses the administration interface. The first method is the recommanded way to add users to an OpenPLM instance. The only constraint is that you need to have a working email configuration. You need to log into OpenPLM. If you have just completed the installation, you can log in using the company user created during installation. Then follow the steps described in Add a user (sponsor). Create other users if needed, then logout and login as your new user account. The second method to add users is not recomanded. Things can go wrong : permissions problems can occurs, and users might not be indexed. The only reason to use it is because you don’t need a working email configuration to use it. But even in that case, it is recommanded to take a few minutes to configure emails and use the sponsoring method. If you see an IOError (socket closed), checks your settings, in particular the stuff related to Celery and RabbitMQ. For more information about the Django Admin tool . If your (apache) server support HTTPS, you can force HTTPS connections by setting the FORCE_HTTPS and SESSION_COOKIE_SECURE to True in the settings.py file. Each HTTP connection will be redirected to an HTTPS connection. There are several variables that can be set in the settings.py to configure how mails are sent. See the Django documentation for more details. OpenPLM adds another variable EMAIL_OPENPLM which is the e-mail address set in the from field of each e-mail. Usually, this is a no-reply@ address. Once your server is configured and runs fine, you should turn off the debug mode. Set the DEBUG setting to False and restart celery and apache. This error is thrown if Celery is mis-configured and can not connect to RabbitMQ. See Configure Celery for more details, make sure that RabbitMQ is running and do not forget to edit the BROKER_* variables in the settings.py file. You can rebuild the search index (Configure the search engine) and see if openPLM finds your parts. It is possible that celery can not update the search index. You can check celery’s log (/var/log/celery/*.log) and see if it contains lines like [.. INFO/MainProcess] Got task from broker: openPLM.plmapp.tasks.update_index[...]. It may be a permission problem and chown www-data:www-data -R /var/openPLM/xapian_index/ may fix it. Maybe your apache installation is a little broken. Does http://server/home/ show a more acceptable result? © Copyright 2010-2013, LinObject. Created using Sphinx 1.1.3.